Dubai: Hard work has paid off for students who were presented with their A-level results on Thursday. The A-level results for students enrolled at British curriculum schools in the UAE would determine the universities that they will attend. This year the results showed that the pass rate of schools in the UAE continued to rise, with many schools recording a 100 per cent passing rate. 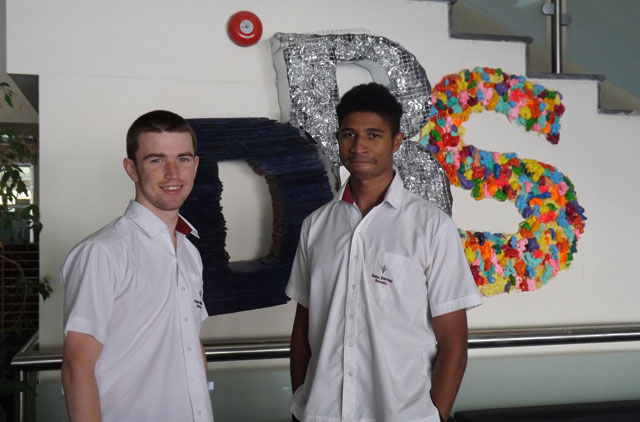 Dubai British School (DBS) achieved a 100 per cent passing rate with many of its students obtaining results above the UK National average of 26.3 per cent. DBS results for this year have broken past records with an increase in the per centage of students achieving A* and A grades from 26.6 per cent last year to 33 per cent this year. “We are extremely proud of Tamer Hijaz who achieved a phenomenal A*A*A, in Physics, Maths and Chemistry. He is going to Leeds University to study Chemical Engineering. DBS is also delighted for our Cambridge entrants James Edwards and Gabriele Ejikeme who both achieved A*AA meeting their entry requirements for Oxbridge,” Said a DSB spokesperson. Students at GEMS International Schools in the UAE also performed well in the 2013 A-level examinations. Of the total students, 31 per cent received A* to A grades, which is higher than the UK National Average of 26.3 per cent this year. The passing rate across the GEMS Schools offering the National Curriculum for England is 99 per cent. Jumeirah College was the highest-achieving GEMS school as it had a 100 per cent passing rate out of which 44 per cent received A*-A. Yousef Qureshi achieved the highest results at Jumeirah College, with 5 A*’s and 1 A. “I am very proud of all of our school results this year, especially those from Jumeirah College. All students have done exceptionally well. Their hard work as well as the hard work of the teachers and the combined support of parents has ensured this success,” said Fiona Cottam, former Principal of Jumeirah College and current Director of International School, GEMS Education. One of the high achievers Nikita Keswani, 18 was thrilled that she will be able to fulfill her dream of studying medicine thanks to her straight As. Nikita said she achieved her high grades by waking up at 3am and studying for 16 hours straight. Megan Carrie-Wilson, who had her results in hand however refused to look at her grade until she got home.